Broccoli!! The mere sight of the more can send shivers down any kid’s spine. You’ve probably also been forced to eat broccoli when you were a child. We’ve all been there. On top of all that, broccoli is also a source of lutein, which is a carotenoid quite similar to beta-carotene. It is mainly responsible for keeping your skin moisturised and wrinkle-free. If that wasn’t enough to entice you to eat broccoli, its florets also contain sulforaphane. This is a special compound that has significant health benefits. Some say that it has anti-cancer effects, specifically some types of skin cancer2. Sulforaphane also helps keep your skin protected from sun damage, by stimulating the protective parts in the body and eliminating free radicals. 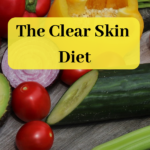 A study done in a lab showed that sulforaphane reduces the amount of skin cells destroyed by UV light by as much as 29%, and the protection lasts for up to two days. The study also showed evidence that sulforaphane helps in maintaining optimal skin Collagen levels3. Broccoli is not only an excellent source of minerals, vitamins, and carotenoids that are crucial in preserving a healthy skin, but it also contains sulforaphane, which can help prevent sunburn and skin cancer. The reason dark chocolate is included on this list and not regular chocolate is the fact the dark chocolate contains more cocoa in it. This does wonders for the skin. A study found that after six to twelve weeks of consuming a cocoa powder with a high dosage of antioxidants, participants had healthier, more hydrated skin4. Not only that, but the skin of the participants proved to be softer in texture and appearance while also being more resistant to sunburn. Blood also flowed better in their skins which means that more nutrients were being brought to the skin. One other study showed that eating 20 grams of dark chocolate containing high amounts of antioxidants on a daily basis would double the skin’s resistance to UV radiation compared to eating chocolate which was poor in antioxidants5. 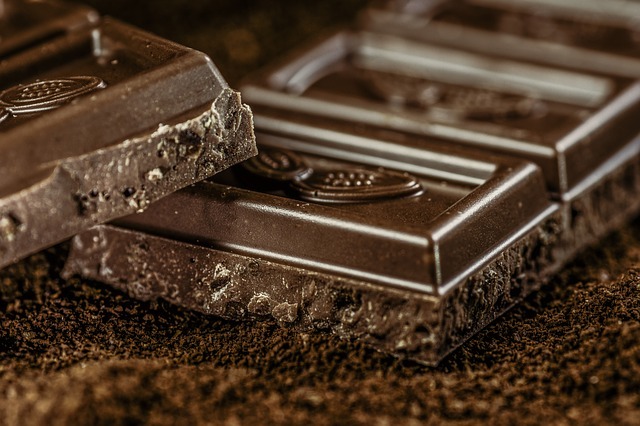 There are plenty of other studies that back up the same claim that dark chocolate is excellent for the skin, including, increased resistance to sunburn, less wrinkle, and a softer texture. However, there is one study that didn’t find any significant effect so take what you will from it6. Evidence points to the fact that cocoa is excellent for keeping the skin healthy and looking young. It’s recommended to eat dark chocolate with at least 70% cocoa and as little added sugar as possible in order to maximise the benefits. What makes dark chocolate so great for the skin, is the fact that it contains high amounts of cocoa which, in turn, is rich in antioxidants that grant all the aforementioned benefits for the skin. Avocados contain a good amount of healthy fats. These fats benefit a good amount of your bodily functions including the maintenance of your skin’s health7. These fats are essential to keeping your skin hydrated. A study conducted on over 700 women showed that an elevated intake of total healthy fats, specifically those found in avocados resulted in more youthful skin8. Some evidence also showed that avocados contain a compound that helps protect the skin from UV radiation, sunburn, and age-induced wrinkling9. Avocados are also a great source of vitamin E, which not a lot of people get enough of. Vitamin E is an antioxidant that helps protect the skin from becoming dry, not to mention that it synergizes well with vitamin C10. Speaking of Vitamin C, it isessential for the creation of collagen, which is the main factor in maintaining healthy skin11. If we do the math, half an avocado (roughly around 100 grams) provides 10% of the recommended daily income for vitamin E and 17% of the recommended daily intake of vitamin C12. What makes avocados so good for the skin is how rich they are in vitamin C and E which have a significant effect on the skin. Soy contains isoflavones (or plant compounds to put it more simply) which act like estrogen and can block it. They’re also potentially very beneficial to the body, and can even have very positive effects on the skin. A small study that was done on middle-aged women, specifically those in their 30s and 40s, showed that eating isoflavones on a daily basis for eight to twelve weeks helped with fine wrinkles and improved skin elasticity13. In the case of postmenopausal women, soy can also help keep the skin hydrated and also increase collagen, which, as stated above, has tremendous benefits to the skin14. 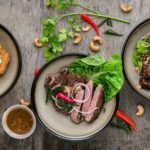 Not only do isoflavones increase your body cells’ resilience, but they also protect against UV rays, and in some cases, might even protect against some skin cancers15. Soy contains isoflavones which help decrease wrinkles, increase collagen, and reduce skin dryness. It also protects against harmful UV radiation. Green tea, along with its plethora of benefits to the body, can also keep your skin more resilient. It can make your skin look brighter and younger thanks to the compounds called catechins. These compounds can do wonders to help keep your skin healthy16. Like any other food that is rich in antioxidants, consuming green tea can help protect your skin from sunburn17. A study spanning 12 weeks was conducted on 60 women. It was found that daily consuming green tea helped decrease the redness on the skin that is caused by exposure to the sun by up to 25%. It also helped in improving the overall skin texture, including an increase in thickness, moisture, elasticity, and roughness of the skin18. 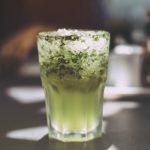 Catechins are powerful antioxidants found in tea that can protect against sunburns, reduces skin redness, as well as improve the skin’s texture and health. Sweet potatoes are an excellent source of beta-carotene, which in turn, help produce vitamin A. Just to give you an idea of how much beta carotene sweet potatoes have. 100 grams of baked sweet potato provides you with nearly four times the recommended daily intake of vitamin A19. 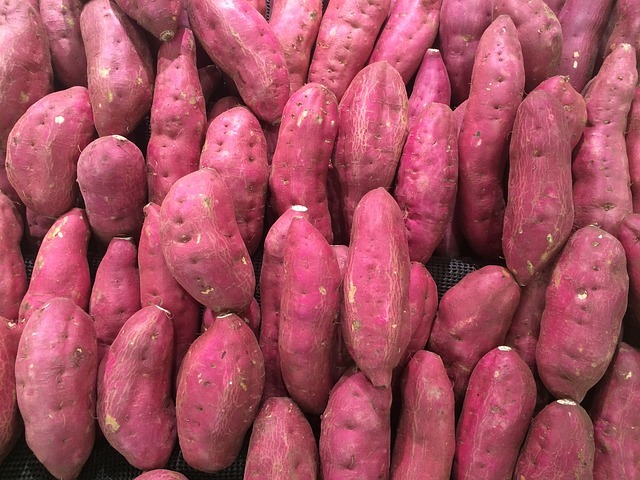 Thanks to its richness in beta-carotene and vitamin A, sweet potatoes protect the skin from sun damage and help keep it hydrated. Beta-carotene can also give your skin a healthy glow20. Sweet potatoes are rich in vitamin A and beta-carotene which act as a natural sunscreen. They also protect the skin from sunburn.